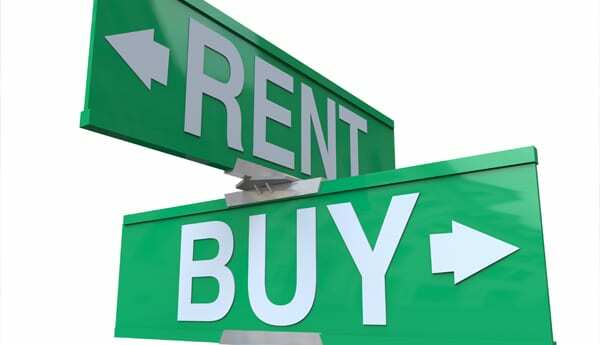 Most Canadians at some time in their lives have probably asked themselves whether it is better to rent or buy a home. Purchasing a home is one of the biggest decisions most people ever make in their lives. Ultimately, it is a personal choice; however, it helps to look at the pros and cons to determine whether the home ownership is right for you, and if you should buy a home. When making the decision about whether or not to buy a home, it’s important to carefully choose a home you can afford, and then weigh the pros and cons. Millions of people enjoy the rewards of home ownership, but in the end, it is a personal decision based on your own priorities. Some Advantages of Buying a Home. Owning a home is generally considered to be a sound, long-term investment that can provide satisfaction and security for you and your family. A recent survey by real estate company, Re/Max, found that house prices in Canada have appreciated by 53.7 per cent over the last decade, or more than five per cent a year. With each monthly mortgage payment, you build equity in your home. Equity is the portion of the property that you actually build through your monthly payment versus the portion that you still owe the lender. There is also a tax advantage. If your home is your principal residence, any profit you make when you sell it is tax-free. A home can appreciate, or increase in value as time passes, building more equity. As you build equity, it’s usually easier to afford another more expensive home in the future thanks to the profit you’ll make when selling your current home. If you do decide that home ownership is right for you, it’s important to choose a home you can afford. If you can’t afford your dream home, purchasing a more modest home can be a great place to start building equity. This may allow you to buy the home of your dreams in the future. As an owner, you can decorate and improve your home any way you like. Ownership tends to give you a sense of pride and can give you and your family stronger ties to the community. Some Disadvantages of Buying a Home. It’s easy to get caught up in the excitement of buying a home, so it’s important to remember that home ownership has some additional responsibilities. For one thing, a home can be expensive. Chances are, your mortgage payments will likely be more than what you are currently paying in rent. There are also added costs of home repairs and maintenance. Owning a home ties up some of your cash and is likely to reduce your flexibility to move to a new location or change jobs. While your home might increase in value as time goes by, don’t expect to get a big return quickly. There are no guarantees that your home will increase in value, particularly during the first few years. In the beginning, you could actually lose money if you sell because your home may not have appreciated enough to cover the real estate fees and moving, renovation and other costs. However, real estate is usually considered a good investment over the long term.